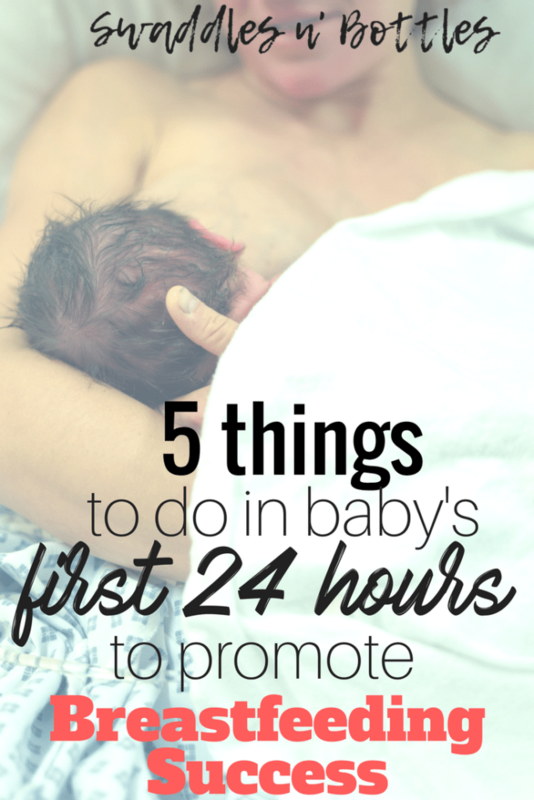 This is a guest post from HealthyPregnancy.com. They have been great blogging friends of Swaddles n’ Bottles for some time and we are always so honored to feature their content! Please read more and follow along with them using the links at the bottom of this post. For many moms-to-be, there is one negative part about pregnancy that looms in the back of their minds: labor pain. To alleviate some of the discomfort during this time, many expectant mothers consider an epidural as their preferred pain relief method during labor. However, prior to requesting an epidural it is important that you’ve looked into it before the time comes so you know the different types of pain relief. 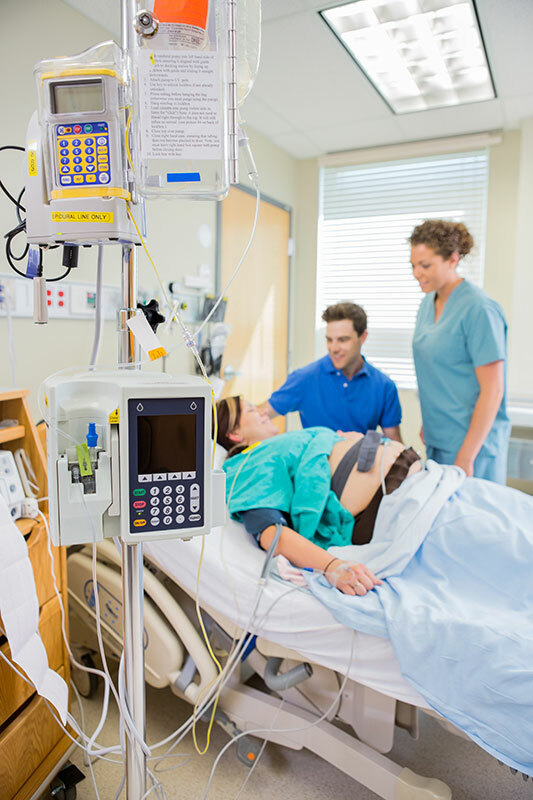 If choosing an epidural, the most popular method of pain relief during labor, it is good to have an idea of what to expect from them. An epidural is a regional anesthesia that only blocks pain in a certain area. It is usually administered through a small tube into the lower back. For this, the woman sits slightly bent or lying on her side. It’s important that she feels relaxed and doesn’t cramp, otherwise there will be pain when the needle is inserted. When injecting an epidural or spinal, the area is first injected with an anesthetic. Once the area is numbed, a needle is used to place a flexible catheter into the epidural space. This drug blocks the nerve impulses in the spine, which decreases the sensation and feeling in the lower region of the body. This catheter is then left in place until the baby is born so that additional medication may be administered if necessary. These treatments must be administered by an anesthesiologist or another qualified medical professional. It is known as a local anesthetic and is often given in addition to other pain medications. There are three generally different kinds of epidural: a regular epidural, a spinal and a combined spinal epidural, CSE, (also known as a “walking” epidural). The difference between these is the process of which it is administered and the accompanying medications. A standard epidural involves injecting pain-blocking medication into a space between the vertebrae and the spinal fluid. This type of epidural generally kicks in within 10 or 15 minutes and lasts for an extended period of time. A spinal is a direct injection into the spinal fluid and is given as part of a walking epidural. This kind of epidural is a low-dose epidural, which ensures excellent pain relief while allowing a woman to keep limited feeling in her legs. This means that she may be able to move around during labor. Basically, an epidural is appropriate for all women, however, they should receive detailed information on the pros and cons of pain relief methods in advance. The procedure should be used when birth is already in full swing and the cervix is correspondingly wide open. In individual cases, an epidural is not always possible, especially if the clotting of the becoming mother is disturbed or in view of septicemia. There are several benefits associated with this procedure. One of the most important ones is that it significantly reduces the pain felt during labor, but the woman can still feel contractions. Pain relief is already possible after a short time. Some women find that their experience of giving birth was much more positive and free of pain compared to those who do not receive an epidural or spinal. Another benefit is that the mom-to-be can be alert for the birth and fairly clear-headed, which is important for many women as they can be in control of the process and have clear memories. An advantage of a spinal over a standard epidural is that less medication is typically required, thus alleviating pain without total numbness. Last but not least, an epidural can help pushing the birthing process. What are Disadvantages and Risks? Epidurals across the board are generally a very safe procedure, however, side effects and complication can occur. One of the most common side effects affiliated with this pain relief procedure is a drop in blood pressure. During the labor process, blood pressure will be monitored and checked regularly by a medical professional to ensure that there is no damage to mother or the baby and that the baby is receiving a healthy amount of blood flow. If blood pressure does drop, medications may be needed to treat the problem. A regular epidural means that the mother cannot leave her bed. Moreover, more stringent monitoring is necessary. In addition, there is a higher risk for vacuum extractor and forceps delivery, as the baby may have problems getting into the optimal birth position. Other side effects that have been reported include nausea, shivering, ears ringing, pain or soreness in the back and trouble urinating. Some women may feel persisting numbness hours after giving birth. In very rare cases, there can be permanent nerve damage where the catheter was placed, allergic reactions or meningitis are also among the rare complications. Another extremely rare side effect is the leaking of spinal fluid which can cause a very painful headache. Very few women experience this while giving birth, but if they do, doctors can inject more blood into the area to help with the head pain. What are the Effects on Mom and Baby? This form of pain relief can cause labor and contractions to slow down. If this occurs, medications may be given in order to speed up the labor process. Like any medications taken by a mom-to-be, they will eventually reach the baby. However, with an epidural the amounts that reach the blood stream are minimal and the amounts with a spinal are even smaller. While more research on the topic must be done, the amount of medication absorbed by the baby is not considered harmful. Research is inconclusive on the effects on the fetus. Although there are possible side effects affiliated with this procedure and it does not alleviate 100 percent of the pain and discomfort, many women find that the benefits of some pain relief granted by an epidural far outweigh the risks. Whether an epidural can be used also depends on the birth location. However, this form of pain relief is only possible in hospitals, and not available for a home birth or in birth centers. Be sure to follow Healthy Pregnancy on Facebook, Twitter, Instagram and Pinterest!